Scientists have uncovered a class of gold atom clusters that are the first known metallic hollow equivalents of the famous hollow carbon fullerenes known as buckyballs. Modern-day doctors may soon start using smell to detect the early warning signs of different illnesses thanks to technology that replicates - and improves upon - the human olfactory system thanks to tiny bioelectronic sensors. Researchers have devised a method that could allow them to organize tiny molecular machines on a surface and so build devices that pack in thousands of times as many switching units, for instance, than is possible with a conventional silicon chip. 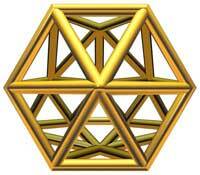 From snowflakes to the leaves on a tree, objects in nature are made of irregular molecules called fractals. Scientists now have created and captured an image of the largest man-made fractal molecule at the nanoscale. Researchers from the Delft University of Technology Kavli Institute of Nanoscience have discovered how to use the motors of biological cells in extremely small channels on a chip. Based on this, they built a transport system that uses electrical charges to direct the molecules individually. The European Space Agency (ESA) is seeking a Commercial Agent Network to market and sell the use of ESA s facilities on the International Space Station (ISS) and related resources and services within the Materials and Processes industrial community. 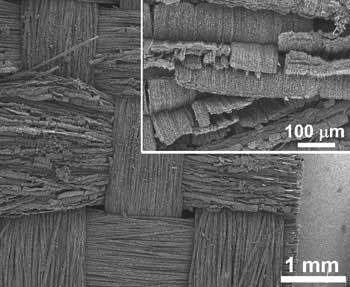 Scientists have found a way to cork nanoscale test tubes. The goal is a better way to deliver drugs, for example, for cancer treatment. Scientists want to fill the teeny tubes with drugs and inject them into the body, where they will seek diseased or cancerous cells, uncork and spill their therapeutic contents in the right place. A new tactic in the battle against cardiovascular disease ? employing nanoengineered molecules called nanolipoblockers as frontline infantry against harmful cholesterol ? is showing promise in early laboratory studies at Rutgers, The State University of New Jersey. Eikos Inc. and the National Renewable Energy Laboratory (NREL) have achieved competitive efficiency in two types of solar cells using carbon nanotube conductive coatings, in a significant step toward developing fully printable solar cells. Gadolinium ions are a popular component of agents used to improve magnetic resonance image (MRI) quality. By melding magnetic and luminescent properties with an easily modified surface, a team of investigators at the National Research Council of Canada have created what could prove to be a highly versatile nanoparticle system for imaging and delivering drugs to tumors. Targeted nanoparticles may eventually help physicians detect the very earliest stages of cancer using readily available ultrasound equipment. Chemical engineers at The University of Texas at Austin have discovered a new way to predict the mobility of confined fluids at nanometer scales. A new report by law firm Marks and Clerk warns that high public expenditure in Europe is not being converted into commercial prospects due to a lack of patent applications. By stacking layers of ceramic cloth with interlocking nanotubes in between, a team of researchers has created new composites with significantly improved properties compared to traditional materials. Texas scientists have added one more trick to the amazing repertoire of carbon nanotubes ? the ability to carry electrical signals to nerve cells.